U.N. High Commissioner for Refugees Antonio Guterres arrives to speak during a news conference in Istanbul, Turkey, Thursday, June 18, 2015. Kremlin confirms the meeting with UN Secretary-General Designate Antonio Guterres. Russian President Vladimir Putin will meet with UN Secretary-General Designate Antonio Guterres in Moscow on Nov. 24, the Kremlin press service said in a statement on Nov. 23. "The ways to strengthen the United Nations’ central coordinating role in international affairs, improve the UN efficiency in the war on terror and settle acute crises in Syria and Ukraine are on the meeting’s agenda," the statement reads. On Nov. 22, Russian President's Spokesman Dmitry Peskov said that such a meeting was on the way. Antonio Guterres’s spokeswoman and senior adviser Melissa Fleming said earlier that the UN Secretary-General Designate planned to visit the UN Security Council permanent members’ capitals including Moscow. Last week, Russian Foreign Ministry Spokeswoman Maria Zakharova said that on Nov. 24, Russian top diplomat Sergey Lavrov would meet the UN Secretary-General Designate in Moscow to discuss pressing issues concerning the UN activities, first and foremost, the ways to settle acute regional conflicts, improve UN efficiency as well as the prospects for the organization's reform and Russia’s cooperation with the UN Secretariat. 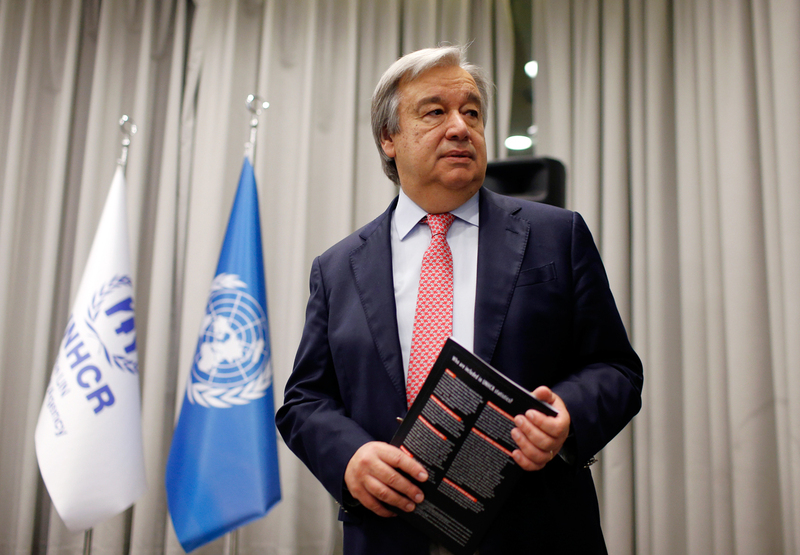 On Oct. 13, the UN General Assembly adopted a resolution appointing Portugal’s former Foreign Minister Antonio Guterres as the ninth UN Secretary-General. His term will begin on Jan. 1, 2017, and expire on Dec. 31, 2021.